It’s an honour just to be nominated. But it sure is nice to win. A 2013 feature “Perfumed Prose” I wrote about the literary inspirations of scent recently won Best Print Media Editorial at the 2014 Canadian Fragrance Awards (the Canuck counterpart to the FiFis). It’s an award (and nomination) I especially appreciate because the National Post was the only newspaper on the print category shortlist, among a slew of finalists from the Big League Girls, as I like to call them – major Canadian women’s titles Flare, FASHION, LouLou, Best Health and ELLE Canada. 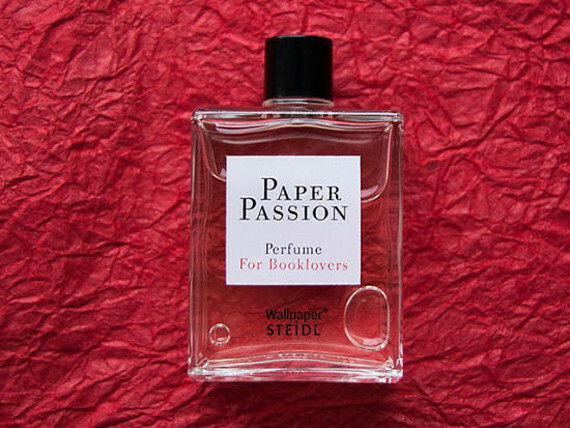 I’m also proud of the story because the fragrant fiction angle combines a few of my favourite things – smelling perfume and talking to fellow perfume enthusiasts, and reading books then talking to the authors who write them. 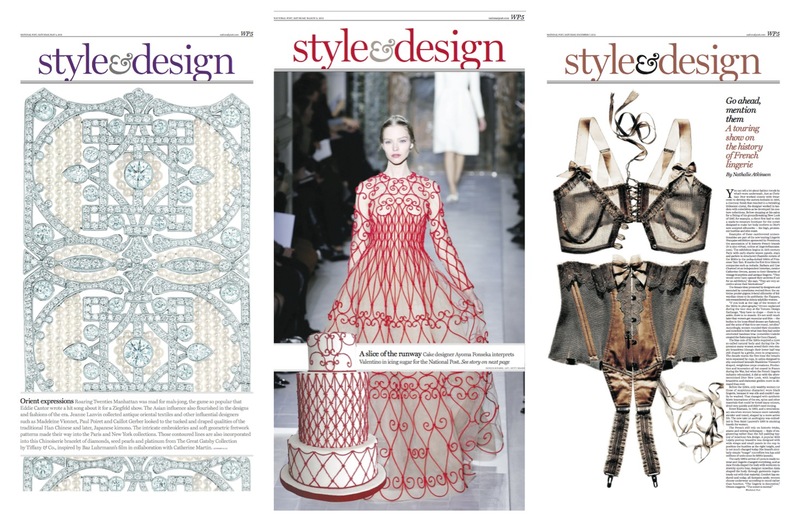 I also edit the Style & Design section. These engaging pages where content and design often intertwine are always a creative collaboration between Weekend Post art director Geneviève Biloski, deputies Becky Guthrie and Renée Alleyn, Gayle Grin, the newspaper’s managing editor of design and myself. 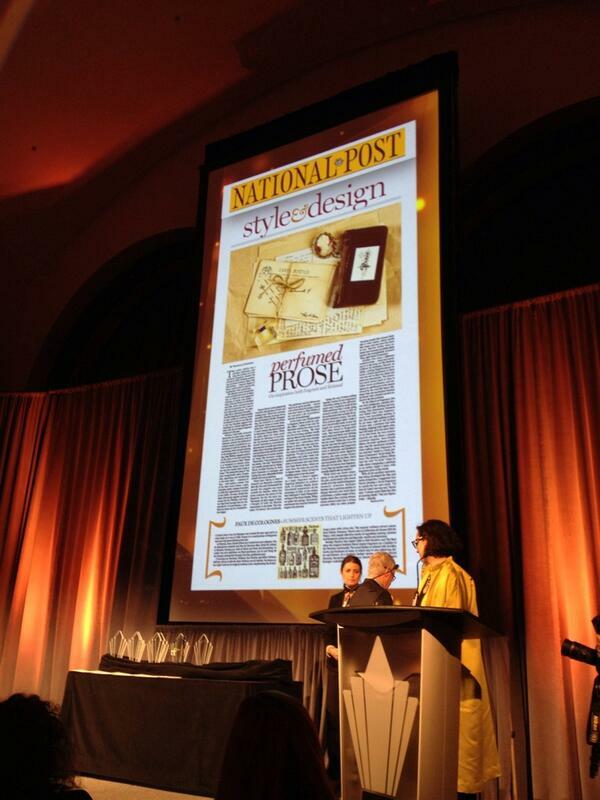 In February at SND35 (the industry awards for Best of News Design for 2013), Geneviève won a Silver Medal for page design portfolio for a selection of her Style & Design work. Up against Variety and other category heavies like the L.A. Times and the Guardian, the National Post still took home an overall 62 awards, and I’m proud that several of those were our Style & Design pages. An opening page where we riffed on Liberace’s bow ties and spangled stage costumes called “Gaudy Nights” was among the Silver Medal winners, with other pages earning Awards of Excellence. Not in my section but quite a hit, too, was the info graphic of a visual chronological catalogue of how every zombie to date met their end in The Walking Dead.